The 2018 Audi Q7 from Audi Morton Grove in Illinois - serving Glenview, Highland Park, Lincoln Park, Deerfield, and Glencoe - is an SUV for the driver who craves power. 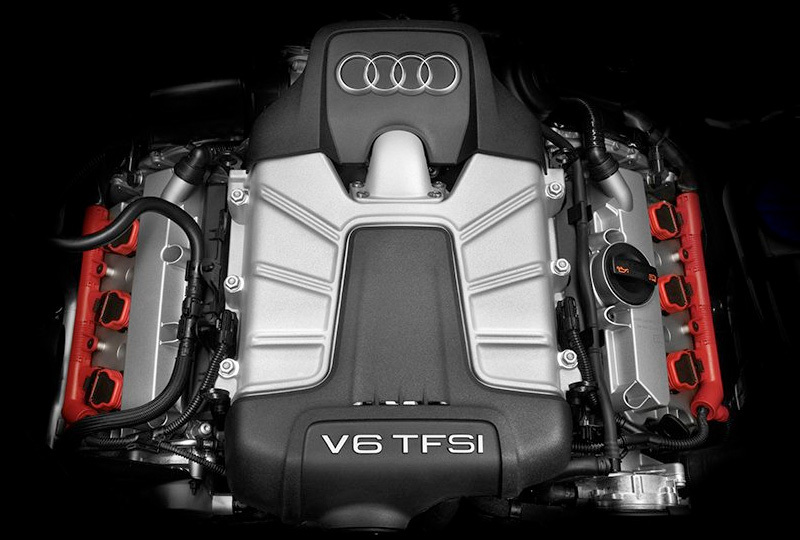 The 2.0L TFSI engine offers up 252 horsepower, but if that's still not enough to satisfy your needs, you can upgrade to the available 333-horsepower 3.0L TFSI engine. 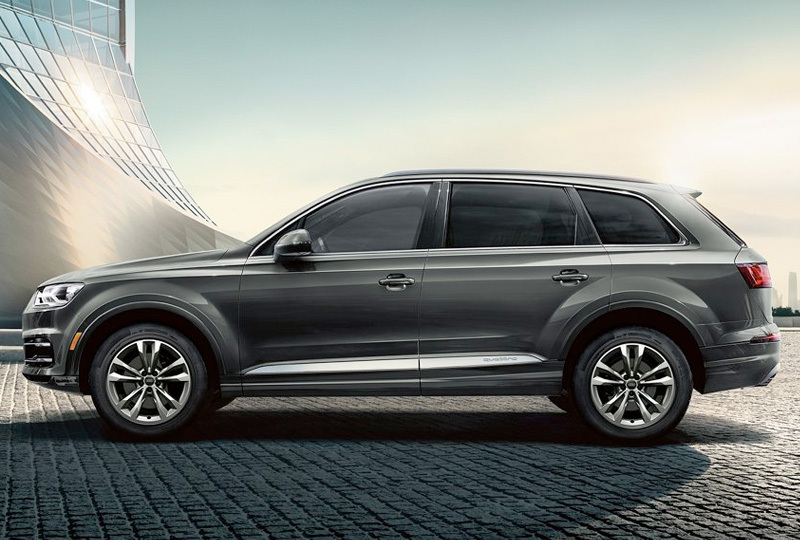 Standard Quattro all-wheel drive, offering extra traction and control, opens up the world as your playground. To complement the strength of the 2018 Audi Q7, you've got a beautiful exterior design with lightweight construction and a standard panoramic sunroof for some great views along the journey. The interior is lined with modern technology, like the MMI navigation plus system and standard Bluetooth hands-free calling and audio streaming. A 35/30/35 split-tumble second row allows you to create extra space when needed, and the Audi Advanced Key provides keyless start and hands-free tailgate options. You've picked the best time to buy a 2018 Audi Q7! Call us today at Audi Morton Grove to schedule a test drive, or visit our showroom located at 7000 Golf Road, Morton Grove, IL 60053. We can't wait to see you ride home in the 2018 Audi Q7 you've always wanted! Progressive design and timeless beauty are the hallmarks of the Audi Q7, creating a striking presence on both city streets and dusty back roads. Details such as the powerful wheel arches emphasize the vehicle's standard quattro® all-wheel drive system, creating a look and feel that can take you to places far and wide. 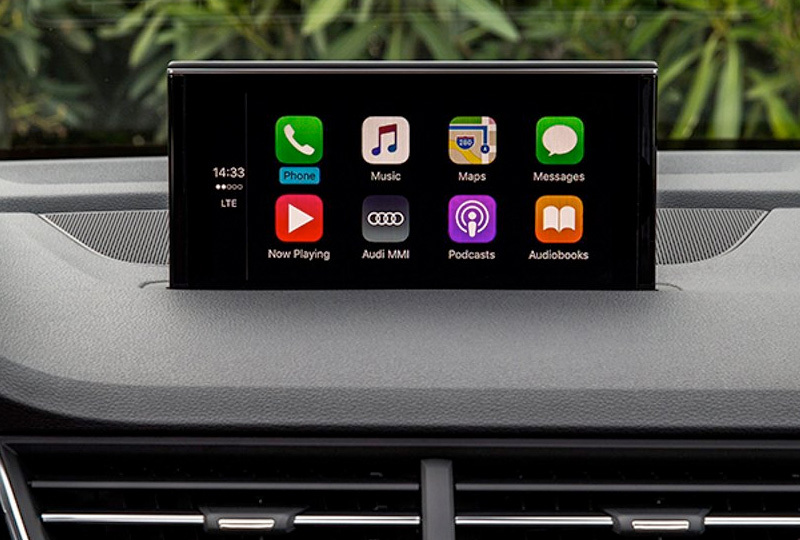 This available feature enables Apple CarPlayTM and GoogleTM Android AutoTM interface, allowing you access to your compatible smartphone's features, such as navigation, telephone, music and select third-party apps, and can be controlled through the MMI® interface, your voice control system or steering wheel controls. Audi pre sense® rear comes standard on Premium Plus and Prestige trims. 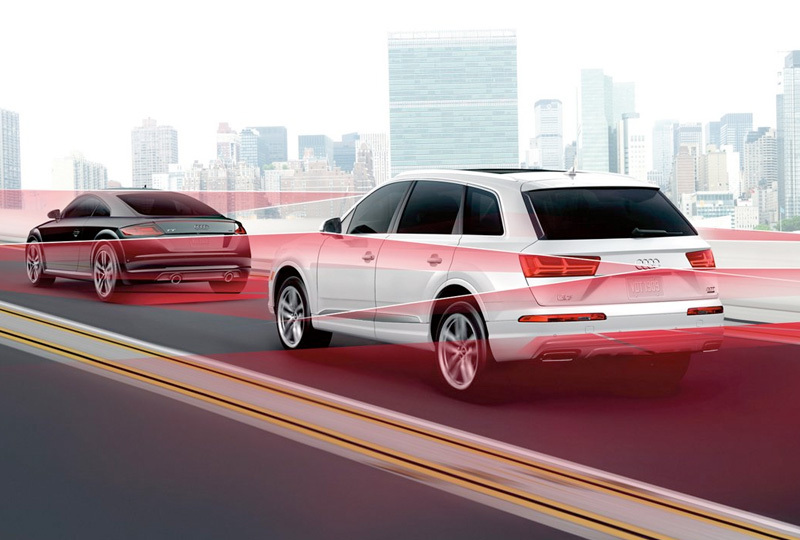 Through use of the Audi side assist radar sensors and control units, it monitors the traffic following the vehicle whenever a turn signal is not active. If the system detects a critical situation, the sunroof and side windows are partially closed. If the following vehicle draws closer and the danger of a rear-end impact continues to increase, the front safety belts are also tensioned. Starting MSRP of $49,900 for a 2018 Q7 2.0 TFSI Premium with automatic transmission. Model shown is a 2018 Premium Plus Q7 3.0T with automatic transmission shown in Florett Silver metallic with Driver Assistance package and Vision package with a starting MSRP of $65,375. Prices exclude $975 destination, taxes, title, other options and dealer charges. Dealer sets actual price. Always obey all local speed and traffic laws. 19 city/25 highway mpg (2018 Q7 2.0 TFSI® with eight-speed Tiptronic® automatic transmission). EPA estimates. Your mileage will vary and depends on several factors including your driving habits and vehicle condition. Driver assistance features are not substitutes for attentive driving. See Owner's Manual for further details and important limitations. Always pay careful attention to the road, and do not drive while distracted. Not all features available on all operating systems. Standard text and data usage rates apply. These features require compatible device, operating system and mobile apps. See mobile device and app providers for terms and privacy. "Android, Android Auto, Google Play," and other marks are trademarks of Google Inc. "Apple CarPlay" is a trademark of Apple Inc.